For use in dogs over 6 weeks of age. 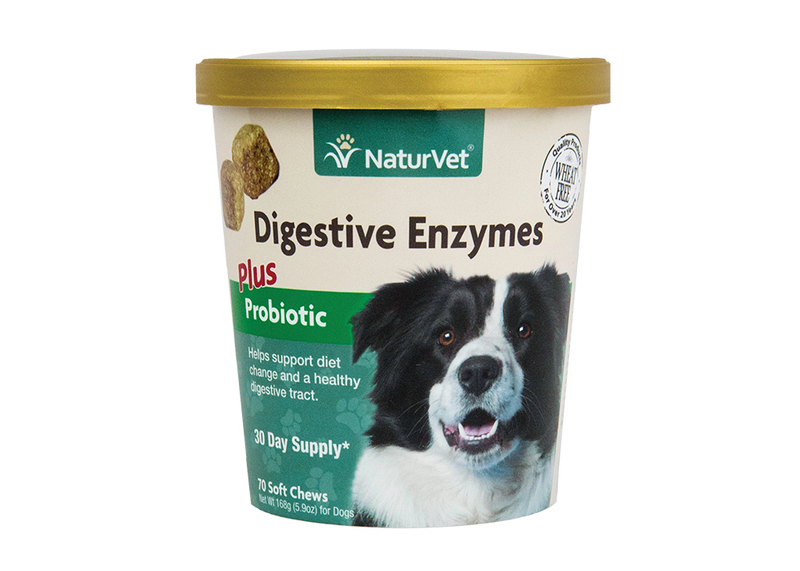 • Helps support diet change and a healthy digestive tract. Brewer’s Dried Yeast, Dried Potato Product, Glycerine, Flaxseed, Lecithin, Fructooligosaccharide, Dried Aspergillus oryzae Fermentation Product, Dried Aspergillus niger Fermentation Solubles, Trichoderma longibrachiatum, Carica papaya, Dried Bacillus coagulans Fermentation Product, Canola Oil, Water, Natural Flavoring, Tapioca Starch, Maltodextrins, Sorbic Acid (a preservative), Mixed Tocopherols (a preservative), Rosemary Extract, and Vegetable Oil.